The Tours of the 17th-century old city includes the great mosque of Jama Masjid, The main street of Old Delhi is the colorful shopping bazaar known as Chandni Chowk (“Moonlit Street”). Red Fort, most spectacular pieces of mughal architecture, built by the Mughal emperor, Shah Jahan between 1638 and 1648. Drive past Raj Ghat, the cremation site of Mahatma Gandhi. Arrive at Delhi International Airport. 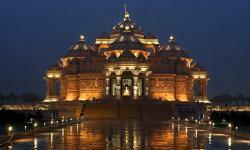 Upon arrival in Delhi, Indo Caribbean Tour's representative will greet and assist you transfer you to the hotel. Freshen up and relax at the hotel. Dinner and overnight stay will be at the hotel. Have a hearty breakfast at the hotel and then indulge yourself in sightseeing of Old and New Delhi. Dinner and overnight stay will be at the hotel. Old Delhi : The Tours of the 17th-century old city includes the great mosque of Jama Masjid, The main street of Old Delhi is the colorful shopping bazaar known as Chandni Chowk (“Moonlit Street”). Red Fort, most spectacular pieces of Mughal architecture, built by the Mughal emperor, Shah Jahan between 1638 and 1648. Drive past Raj Ghat, the cremation site of Mahatma Gandhi. 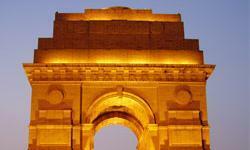 New Delhi : The Tours of New Delhi includes Qutab Minar, one of the most popular landmarks in Delhi built in 1199. The Humayun's Tomb, the precursor of the Taj Mahal. Drive down the spectacular Rajpath (“the Kingsway,”) passing the India Gate (the memorial built to commemorate the unknown soldiers,) the President’s House, and the House of Parliament. Enjoy a brief respite from the otherwise bustling city at Birla Mandir, a modern and colourful Hindu temple. After hearty breakfast at the hotel, drive to Agra (220km/4 hrs.). 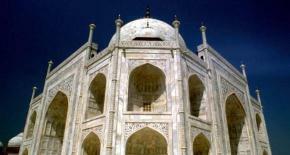 Upon arrival in Agra, Indo Caribbean Tour's representative will assist you to transfer you to the hotel. 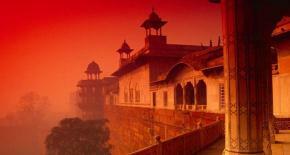 In the afternoon after lavish lunch, enjoy half day sightseeing of Agra. Visit the world famous Taj Mahal. 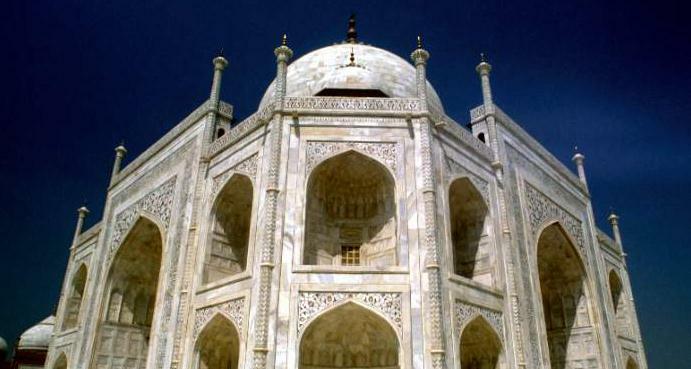 The Taj Mahal – a poem, a feeling of love, in white marble, is a fine example of the fusion of many architectural styles. 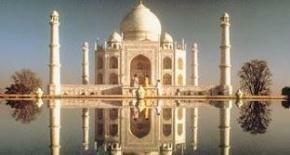 It has been described as the most extravagant monument ever built for love. The Tours also includes a visit to the Red Fort, seat of the Mughal dynasty in the 16th century, lies on the bank of the River Yamuna, almost in the heart of town. Akbar built it as his citadel over the years of 1565-1573. 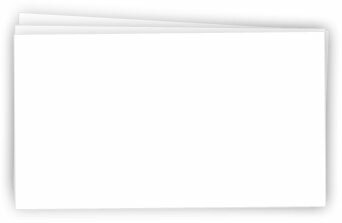 Dinner and overnight stay will be at the hotel. After hearty breakfast at the hotel, drive to Jaipur – the Pink City visiting in en route Fatehpur Sikri – often called the ghost city, built by Akbar the Great in the 16th century to serve as the capital of his vast empire, Fatehpur Sikri was mysteriously abandoned 13 years later. Later continue your drive to the Pink City of Rajasthan— Jaipur. 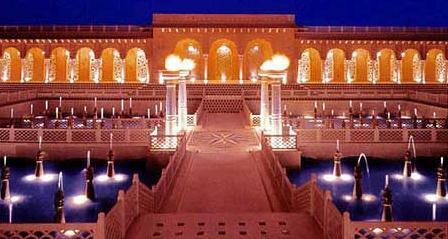 Upon arrival in Jaipur, India travel Tourism representative will assist you to transfer you to the hotel. Dinner and overnight stay will be at the hotel. 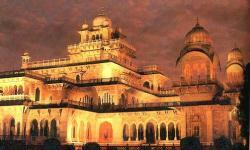 After hearty breakfast at the hotel, indulge yourself in the city Tours of Jaipur. Visit to the Hawa Mahal or "Palace of Winds,” one of the major landmarks of Jaipur. The five-story building was originally built to enable the ladies of the royal household to watch the everyday life and processions of the city. Visit to the City Palace, located in the heart of the old city, is a large complex of courtyards, buildings, and gardens, and also houses an interesting museum. Visit to the Jantar Mantar, the ancient astronomical observatory built by Raja Jai Singh, whose passion for astronomy was even more notable than his prowess as a warrior. 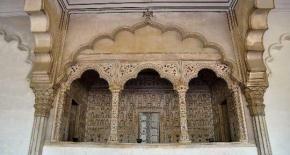 Also visit to the Amber fort, situated on the outskirts of the city. Here; you are transported back in time today, riding like royalty atop elegantly draped and painted elephants into the high mountain fortress. Amber Fort was the ancient capital of the State until 1728 and inside the fort, you visit the Jagmandir or the Hall of victory glittering with mirrors, Jai Mahal and the Temple of Kali. Spend evening at leisure. Dinner and overnight stay will be at the hotel.  Today you will be transferred to the airport in time to catch flight for your home destination.